Designers from around the world are creating jewelry and fashion accessories with a technological edge and a futuristic look incorporating both space-age style and man-made constructs into their designs. 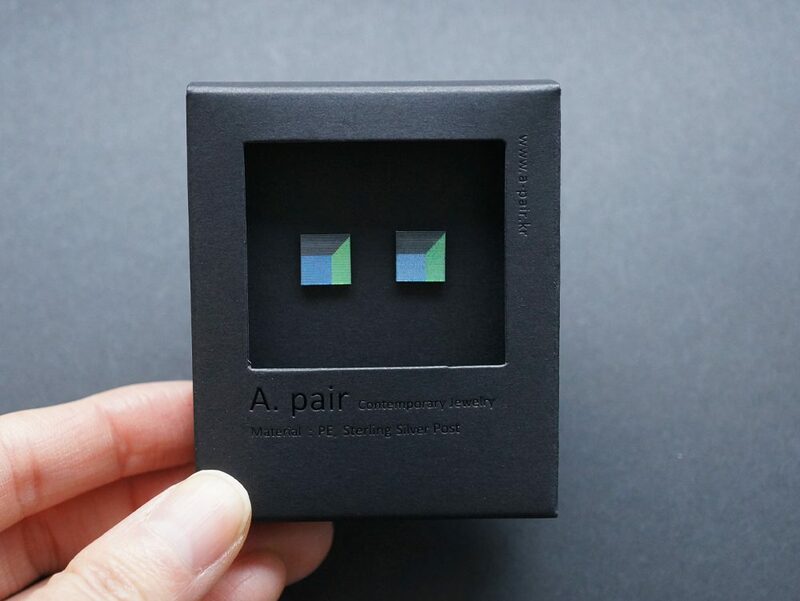 South Korea – Square studded lenticular earrings that change depending on the viewers angle and with the wearers movements. Lenticular lenses work similar to a hologram where two or more images can be seen on one surface or screen depending on your movements or how the surface is moved. Flip Lenticular Earrings designed by A. Pair. 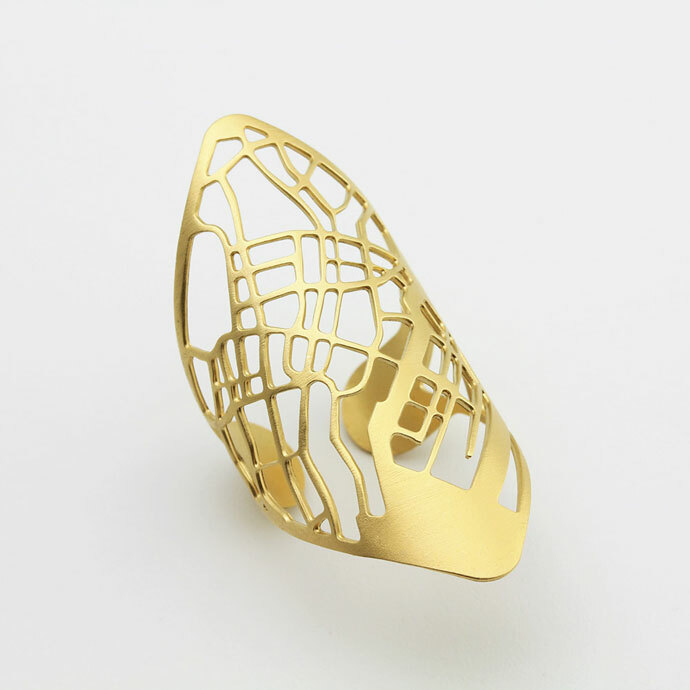 Israel – Street Grid rings and pendants show aerial view of landmarks in well-known cities such as Paris, Rome, Jerusalem, Tel Aviv, New York, London, Barcelona and San Francisco. You can also request your favorite places to be custom made. The jewelry is gold and silver-plated on brass. Designed by Talia Sari. Israel – Metal bow tie made from a flat sheet of bent brass plated using 14k yellow gold or high quality silver creating a stunning 3D fashion accessory. All are hand-crafted and designed by Papino Wedding. Columbia – Retractable backpack modeled after the protective scales of a pangolin (an animal indigenous to Asia & Africa) and handmade using recycled inner tubes of truck tires. It closes using 3 magnetic enclosures, has many storage compartments and is extremely durable – excellent for a variety of weather conditions. 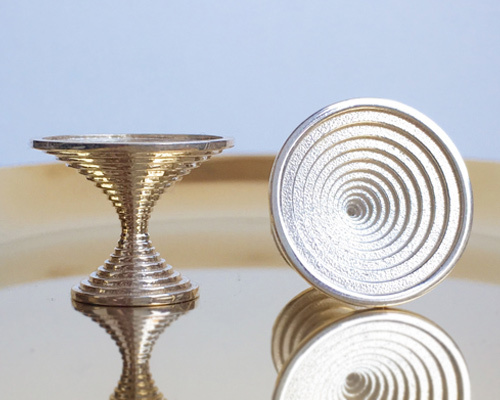 United States – Contour cufflinks are digitally made and follows architects modeling techniques by slicing the forms into parallel lines then extruded flat and layered atop one another to create the original form creating their unique contoured shape. Plated in sterling silver, steel or other precious metals. Designed by CSS. While high end fashion has always pushed the boundaries of fashion and design on the runway – these fashion accessories can bring a touch of the unique and unusual to your everyday attire.